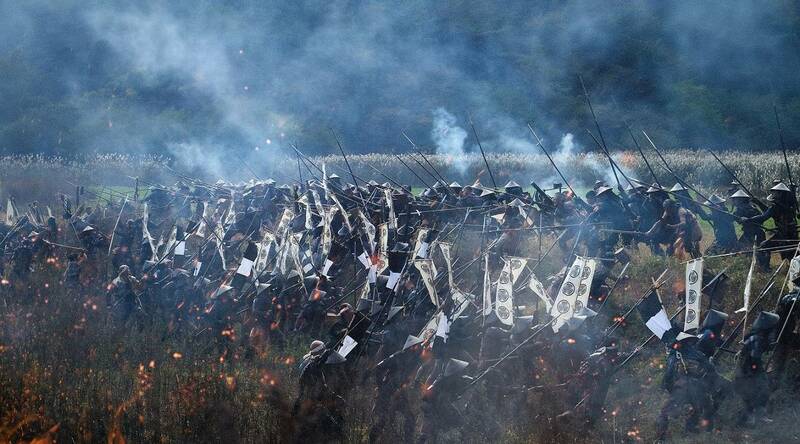 Lights, camera, action: Masato Harada's latest epic, "Sekigahara," deals with the famed battle in 1600 of the same name. | © 2017 "SEKIGAHARA" FILM PARTNERS ALL RIGHTS RESERVED. The Battle of Sekigahara was fought on Oct. 21, 1600, and changed the course of Japanese history. Tokugawa Ieyasu and his Army of the East won an overwhelming victory over the Army of the West led by Ishida Mitsunari, resulting in the political unification of the country and the rule of the Tokugawa shogunate for the next 260 years. 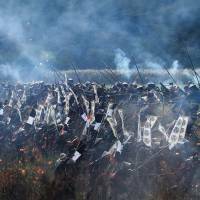 The battle has never been depicted in its entirety on screen, however, until Masato Harada tackled it for his new epic “Sekigahara,” based on Ryotaro Shiba’s classic three-volume historical novel. Seeing it at the Foreign Correspondents’ Club of Japan with Harada and star Takehiro Hira in attendance, I could understand why previous generations of filmmakers had balked at the challenge; the complex lead-up to the battle and the massive conflict itself, with the two armies totaling almost 180,000 men, hardly lent themselves to the simple good-and-evil binary of popular cinema. Harada, who handled a similarly knotty historical subject in his 2015 World War II drama “The Emperor in August,” trimmed the number of characters from the original 500 in Shiba’s novel to about 50 with a significant presence, while narrowing the focus to Mitsunari (Junichi Okada), Ieyasu (Koji Yakusho) and those in their immediate orbit. A retainer to Hideyoshi Toyotomi (Kenichi Takito), the wily, pleasure-loving lord who first unified the country, Mitsunari is a straight-arrow loyalist whose fatal flaw as a general is a stubborn reluctance to adapt to unpleasant new circumstances, including putative allies who change sides in the course of the battle. By contrast, Ieyasu is a canny strategist ready, willing and able to finagle his way to success. Naturally, we are expected to root for Mitsunari, the glorious loser, as well as Shima Sakon (Hira), a battled-scarred Mitsunari general who is a samurai’s samurai, and Hatsume (Kasumi Arimura), a doughty ninja who catches Mitsunari’s eye and wins his heart. While laying out these and other character arcs clearly enough, the film buries the uninitiated in a blizzard of information about the era’s politics and personalities, cutting rapidly from scene to scene at a pace meant to be dazzling, but often ends up dizzying. The battle itself unfolds chaotically, with crowds of similarly attired samurai shooting, spearing, hacking and blowing each other up. Instead of building, the fighting winds down in exhaustion, confusion and bloodshed, no doubt faithful to the real thing, but somewhat baffling to watch. And fighting for his gauzy version of justice, Mitsunari ends up a lonely, quixotic figure whose rationales for his puzzling (by samurai standards) decisions are less convincing than Sakon’s manly, selfless actions. However, the film’s women — beginning with Hatsume and continuing with Sakon’s wife, Hanano (Noriko Nakagoshi) — shine as fighters, advisers and model characters, especially when compared to the often self-serving and pusillanimous men. Among the stand-out performances is Yakusho’s as Ieyasu, who blusters and storms about, but with flashes of his famed intelligence and steely will blazing through his clownish persona — or disguise. Hira also impresses as Sakon, whose combination of samurai-like gravitas and swashbuckling dash come from a living center, not received attitudes. Most of all, Harada has put a version of the battle on the screen that aims for authenticity, whatever its concessions to audience-pleasing drama, and achieves it more often than not. It may be another 120 years of Japanese movie history until we see another.